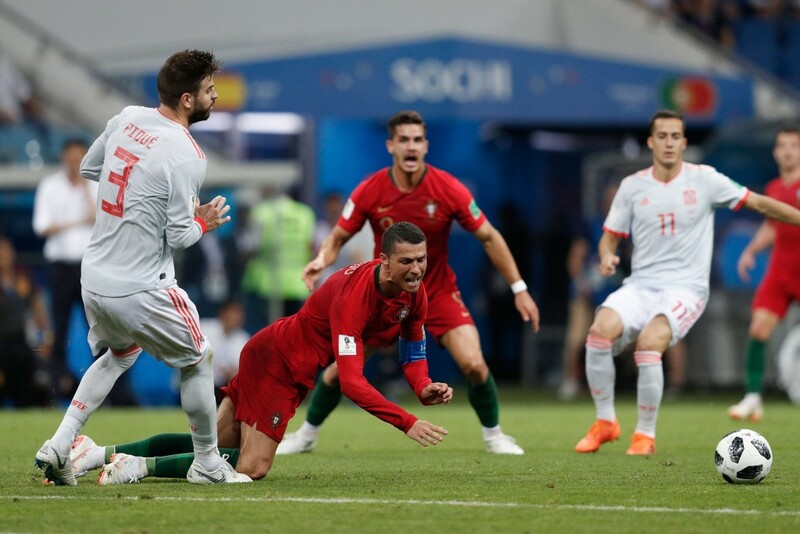 Barcelona defender Gerard Pique has branded Cristiano Ronaldo a diver after Spain’s thrilling 3-3 draw with Portugal in their opening Group B World Cup clash. The 31-year-old was clearly unhappy after the match feeling Spain were the better team and only failed to win due to Ronaldo’s theatrics. “We had more chances, they had three shots and scored three goals,” he said. “Games go one way and you have to face it. “Finding yourself in the opening game of the World Cup with a penalty against you and a goal down after two minutes, you have to leave with a good feeling about how the game went. Pique would not hear criticism of David de Gea despite the Manchester United keeper’s howler in gifting Ronaldo a goal on the stroke of half-time. “[De Gea has] been doing this for many years and we all face it, I’m sure that in important moments he will be how he has always been,” said Pique. 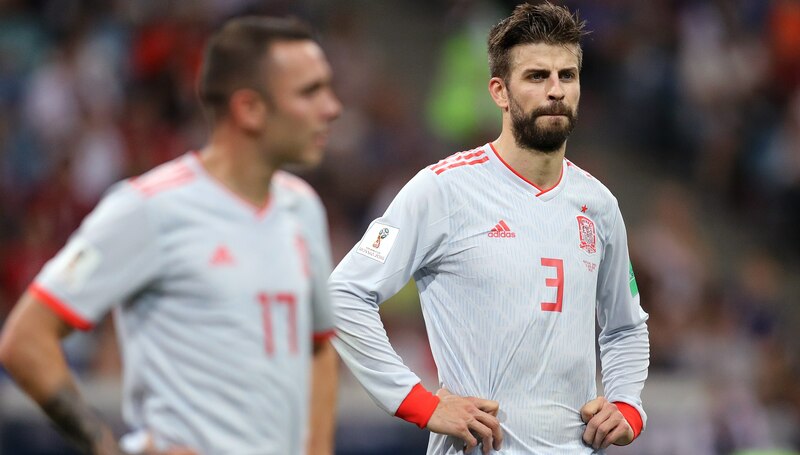 Pique would not however be drawn on the shock departure of former Spain coach Julen Lopetegui on the eve of the tournament, after being announced as Real Madrid’s replacement for Zinedine Zidane. “We are hurt as little as possible, we’re all in it together in the World Cup,” he stated. “It’s not a good experience for anyone. “We hope to reach the final and win it, in the end we’ll see. The World Cup has started, you have to turn the page, the time to reflect will come but for now in the competition you have to focus on the football. “There were meetings with many people and from there the president decides, you’ve seen that. From that everything stays with us. “The fact he negotiated with Madrid doesn’t annoy me, at all, the background is clear, it’s a huge club and the club of his life. This is set to be Pique’s last World Cup with the defender already announcing plans to retire from international football. “I’ve already said it and the decision is quite certain, you never know 100 percent what will happen but when I say something I usually follow through with it,” said Pique. Pique, who is a crucial member of Spain’s back four, is set to make his next appearance against surprise Group B leaders Iran on Wednesday night in Kazan. The World Cup hasn’t truly started until Brazil come to the party and they face a stubborn if unimaginative Switzerland first up in Russia. 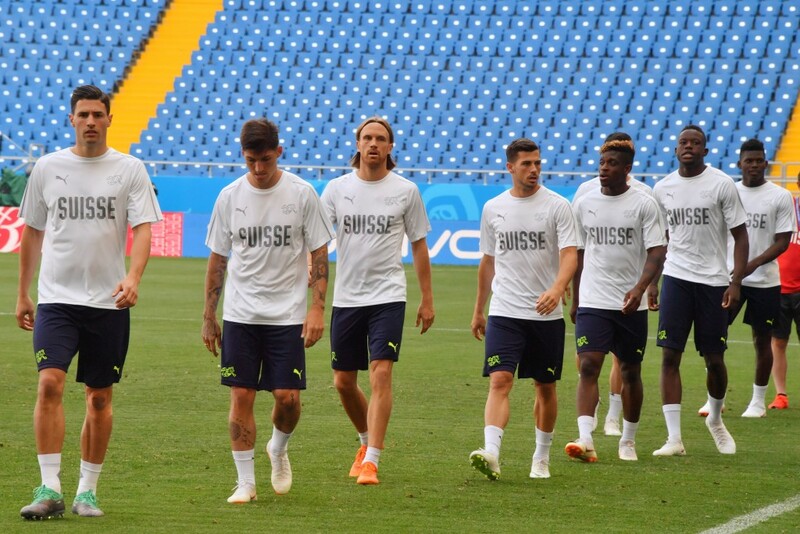 Neymar, fully fit after his injury worry, leads a scary looking line-up but the Swiss have a habit of making things tricky – having conceded just seven goals in 10 qualification games. Below, we outline some of the key talking points set to play out in the Rostov Arena on Sunday. ARE BRAZIL WORTH THE HYPE? They sealed qualification with four games to spare. Haven’t lost a game since Peru at the 2016 Copa America. Not conceded in six – if we’re putting their attacking prowess to one side – and beaten 2014 antagonists Germany in a friendly along the way. 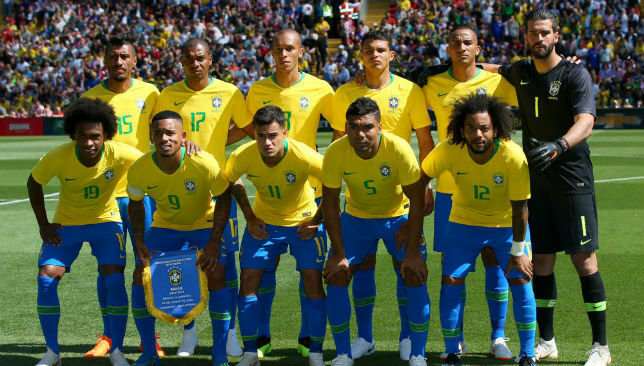 The raw statistics, at least, say that this Brazilian team are best-placed to banish all seven of those Belo Horizonte demons that Die Mannschaft inflicted on them four years ago. Well, fail in Russia and they possibly wouldn’t even be the best Brazil team to flop on the grandest stage. In 1982, when Socrates, Zico et al looked imperious before Paolo Rossi turfed them out of Spain in a famous 3-2 win for Italy. What may work in their favour 36 years later is that Tite does not neglect his defence. Roberto Carlos, who was not the biggest fan of defending from left-back, recently rued that Brazil ‘have lost the essence of Brazilian football, which is offensive football’. Either way it’s hard to accuse this side of championing boredom. Whether the current incumbents of the jersey share Carlos’ sentiments should worry Tite, however. Brazilians have never minded going rogue. Going on recent history, the Swiss just love to stifle the so-called favourites and make us all wonder whether we should switch the channel over. At Euro 2016 they throttled the life out of France in a 0-0 draw group-stage draw, and then dragged Poland to penalties in the last-16 before being knocked out. Further back they actually deigned to entertain us for a brief spell at the World Cup before returning to the drudgery in the round of 32, Argentina compelled to sleep-walk through the game before Angel Di Maria surprised us all and scored … in the 28th minute of extra-time. As a nation known for its clockwork and mandatory military service, it’s no surprise that efficiency and structure goes hand-in-hand with their football. Vladimir Petkovic is the perfect drill-sergeant. 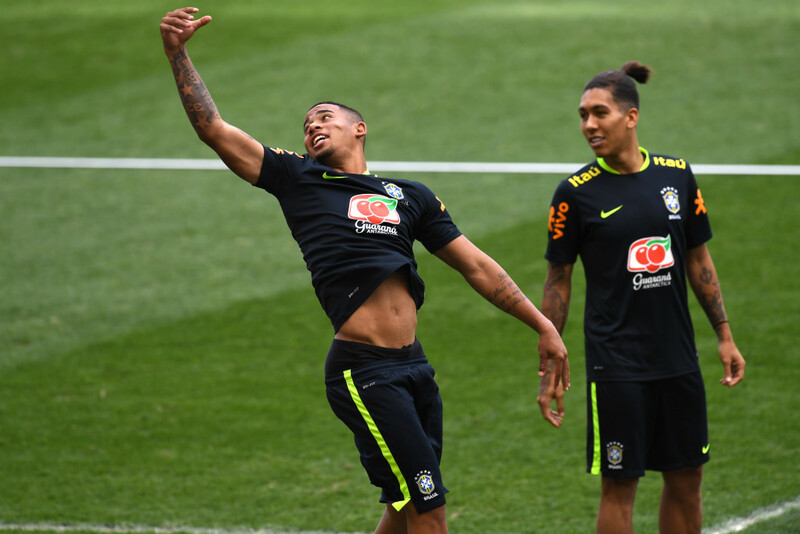 It’s why it’s an intriguing, if not necessarily an exciting, first test for Brazil. Scoring against often sub-par South American defences, or playing in friendlies that lack intensity, is not a true yardstick for Brazil. If they can tear the Swiss apart it’ll really time to prick up your ears. Want a measure of Brazil’s strength? In 2014 they were starting Fred (of Lyon ‘fame’, not Manchester United). This time Tite has the luxury of parking Roberto Firmino on the bench, perhaps the most uniquely effective forward in world football. Given Tite’s advocacy of very un-Brazilian defending, Firmino would seem a perfect fit – he was the only Premier League player last season to make more than 60 tackles and create more than 50 chances. That’s not to undersell Gabriel Jesus. Though his club campaign was much spottier, no thanks to a knee injury, Manchester City coach Pep Guardiola is besotted with the 21-year-old and more often than not prefers him to Sergio Aguero up top. It could be argued that Jesus is the more out-and-out striker and predator in and around the box. The immediate counter would be that Firmino has taken a gargantuan step in his finishing this year with 27 goals in all competitions for Liverpool, dwarfing his previous-best 12. Either way, it’d pay for Jesus to hit the ground running in Russia as Roberto’s only a smidgen behind. 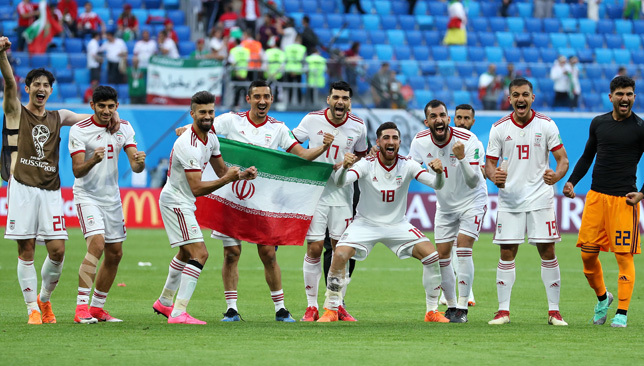 Iran left it very late but they managed to win their first World Cup match in 20 years when they defeated Morocco 1-0 on Friday night. Substitute Aziz Bouhaddouz scored an own goal in stoppage time to give Iran only their second triumph in World Cup history. After the full-time whistle in Russia, Iranian fans took to the streets in Tehran to celebrate the victory.